Cic Saor aficionados who happen to be in the Phoenix Park area of Dublin will find a copy of this incredible picture in the lower stairwell of the recently (and very tastefully) upgraded Phoenix Park Hotel on the corner of Infirmary Road and Park Gate Street. 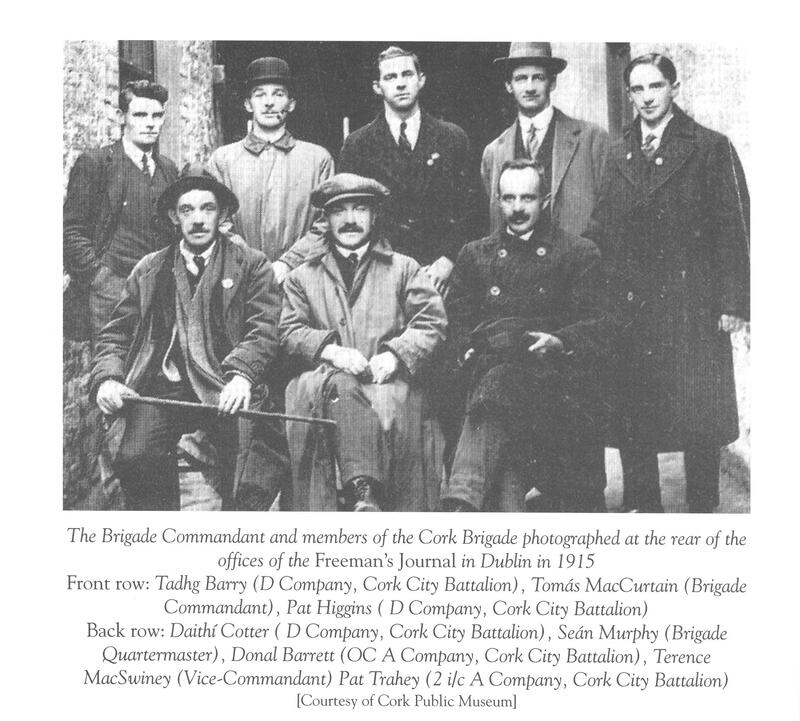 My comrade and SIPTU historian Trevor Quinn did me the kind service of sending me a digital version of the Cork Brigade Photograph. Trevor has done sterling work in publicising and honouring the life of poet, writer, socialist and revolutionary Tadhg Barry, as has Dr. Donal O'Drisceoill UCC who is currently writing a comprehensive book on Barry's life. An excellent film posted on YouTube "Tadhg Barry Remembered" see https://www.youtube.com/watch?v=BKWm5MlPK5w - has been produced by Frameworks Films in collaboration with the Cork Council of Trade Unions for broadcast on Cork Community Television. It was first broadcast on Cork Community Television on 5th May at 8pm.